On Thursday afternoons the Kempers arrive in their pickup and check out the latest donations that need their attention. Marge collects the clothing items and takes them home with her to sort. “What’s interesting is we’ll get just one shoe. It’s very seldom we get pairs,” she laughed. The resourceful duo have been married for 63 years, have three children, 11 grandchildren and four great-grandchildren. Both have been Silvertonians for 75 years. Dave was born at home between Marion and Jefferson, Oregon (“the house is still there”), and Marge is a fourth-generation Oregonian. “I have volunteered my whole adult life. I was involved as a volunteer with the Silverton Fire Department for over 34 years. We both volunteered at the Silverton Methodist church for the last 63 years – and we help out at the Senior Center Pancake Breakfasts when we can. I have donated over 10 gallons of blood, starting in high school. They would take it every six months,” Dave said, grinning at memories of the free ice cream offered in exchange. 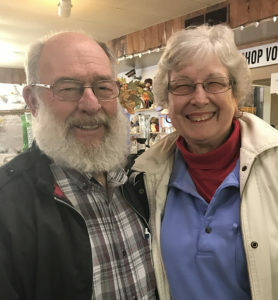 He was honored as one of the Senior Center’s “Volunteers of the Year” at the Silverton Area Chamber of Commerce Banquet in February. Dave has found through experience which donation outlets are more accepting of certain items than others. “Goodwill takes almost everything. Value Village in Salem does better because they accept more items. Things like scrap metal – and anything recyclable – can go down to the City Shops on Saturdays,” he explained. Dave receives calls at the Thrift Shop asking him to go out and look at some items so he can determine the best donation location. This brings up a natural question: During the sorting process, have the Kempers ever unearthed any treasures they kept for themselves? “We have a nice pewter candlestick holder and it has its own little snuffer attached to the handle,” Marge said. 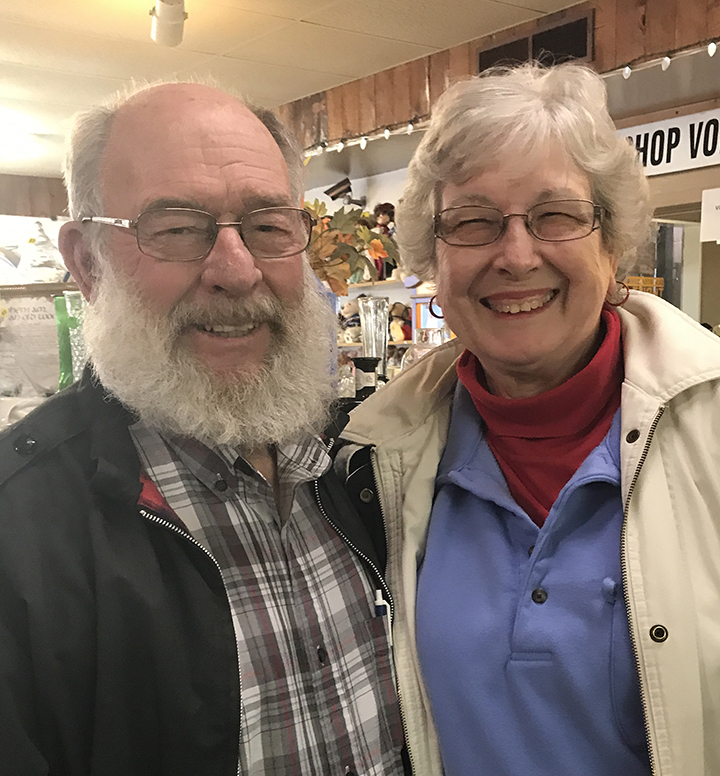 Dave worked at the Wilco farm store for 30-plus years. Then he worked at Unger Funeral Chapel for 18 years. Having been “officially” retired two years ago, Dave encourages others to have an interest in the community and get involved.